In our commercial construction projects, InVision Construction has built our reputation on high quality services and products, setting us apart within the industry. 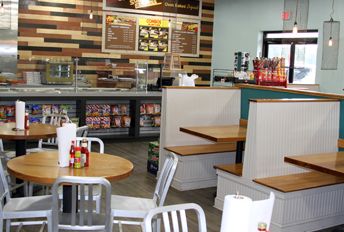 We work with both tenant build-out designs as well as design-build construction, so whatever circumstances lead you to us, we can work together to create a lasting addition or renovation to make your commercial space better for longer. Invision’s extensive experience includes providing ground up design build and tenant build out services. Attention to the commercial construction process will make your workspace exceptional, meeting your vision, timeline, and budget. Our portfolio consists of churches, schools, retail centers, shopping centers, municipal facilities and restaurants. No matter the spatial or economic scale of the project, our team is ready to meet your needs. We will work closely with architects, designers, and other professionals in the industry to successfully engineer your construction project. Our project managers oversee construction operations. They are responsible for coordinating the delivery of equipment and materials and collaborating with local jurisdictions to ensure our projects are completed within time and municipal parameters. Custom designs, special order materials, and expert installation services are part of our value-added services. Because InVision Construction operates as a single source developer, we manage every detail of your commercial construction project. This makes your job easier because you only need to contact one company for total construction management. As one of the most trusted commercial construction companies in the Mississippi area, InVision Construction guides business owners in areas of design throughout the entire project. We also maximize your investment by using the most up-to-date methods and materials to ensure efficiency. With over 60 years of combined experience and expertise in the industry, our team has established a reputation among our clients for our dedication to their best interests. In all of our projects we are committed to quality, timeliness, and adhering to budgets. This dedication is demonstrated through our long-term relationships with the most reliable and hard-working subcontractors in the Jackson Metro areas. In the time we have utilized their services, these subcontractors have exhibited our same values of quality workmanship, timeliness, and financial understanding. 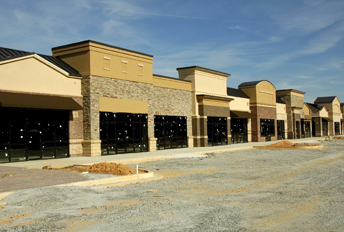 Contact us today for a free consultation and quote for your upcoming commercial construction needs. Call (601)376-9654.